The womb is the best place to grow your baby. However, about 10 percent of women will experience premature labor and many of these women will give birth to premature infants. The more premature your baby is, the more complications and potential long-term effects are present. How Long Is the Average Pregnancy? The average pregnancy lasts about 40 weeks, with some studies indicating that pregnancy lengths have actually gotten longer. The definition of a term pregnancy is a pregnancy at 37 weeks. Infants born as early as 22 weeks are surviving with appropriate medical care and hospitalization. The longer a baby stays in the uterus, the better its chances are of surviving and reducing complications after birth. 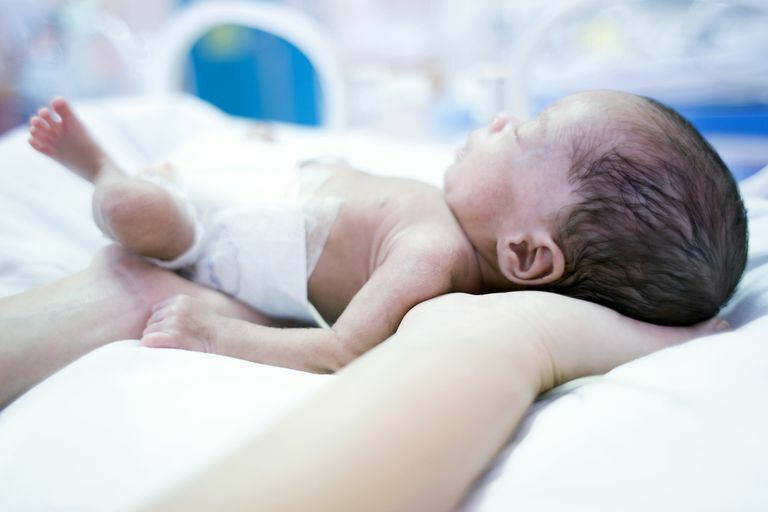 While there was a general acceptance that infants born slightly premature are not in as much danger, new information says this is simply not true. Even slightly premature infants at 34 to 36 weeks gestation have in increased risk of certain complications after birth. These preemies suffer 2 to 3 times the infant mortality rate during the first year and babies born at 32-33 weeks had a six-fold increase in death rates during the first year. The study, published in the Journal of the American Medical Association, is really speaking to the use of induction, particularly for convenience, in these slightly premature infants, calling into question the benefits versus risks of early induction or scheduled cesarean. Injections of corticosteroids for fetal lung development is one of the best advances in fetal medicine. Since 1994, the National Institutes of Health and other professional organizations have encouraged their use in promoting the development of fetal lung development in moms who are at risk for preterm labor or birth. Betamethasone and dexamethasone are the two most commonly used steroids. The average protocol was to give to intramuscular injections (IM) 24 hours apart. Some practitioners also choose to continually repeat the dosages every week until the birth. The injections had to be given 24-48 hours prior to the birth for maximum effect. They were also best used between weeks 24 and 34 gestation. However, recent studies say that the benefits of multiple doses are questionable, particularly in light of potential risks. Citing the "limited quality" of the studies of multiple doses and the potential disadvantages the National Institute of Health issued a statement that a single dose was sufficient in achieving the benefits desired. In separate findings by an Israeli study the researchers also noted that there is an increase in maternal infection with the use of steroids, so limiting doses may help with this side effect as well. Are DHA Supplements for Premature Babies Helpful? How Do Blood Transfusions in the NICU Work? Do Pets Increase the Risk of Allergies and Asthma in Preemies?